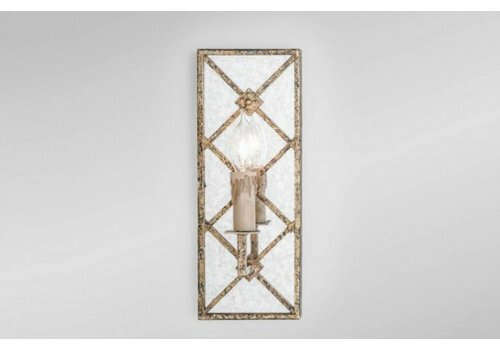 Composed of metal and lucite, the Belfast sconce in champagne silver is marked by graceful curves and features a stepped oval back plate. 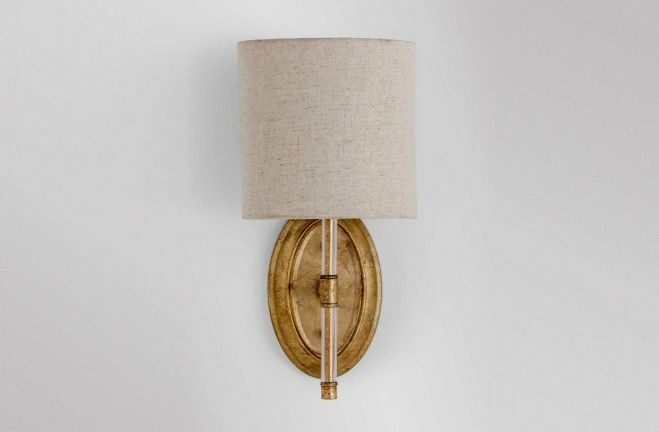 A natural linen shade makes a nice complement to the champagne silver. 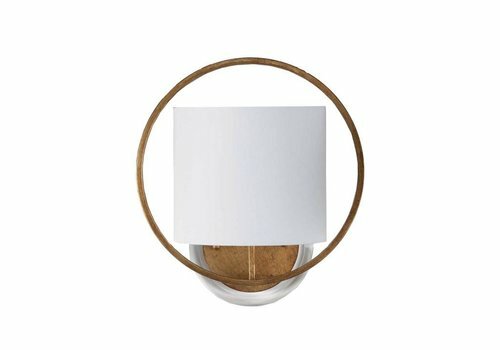 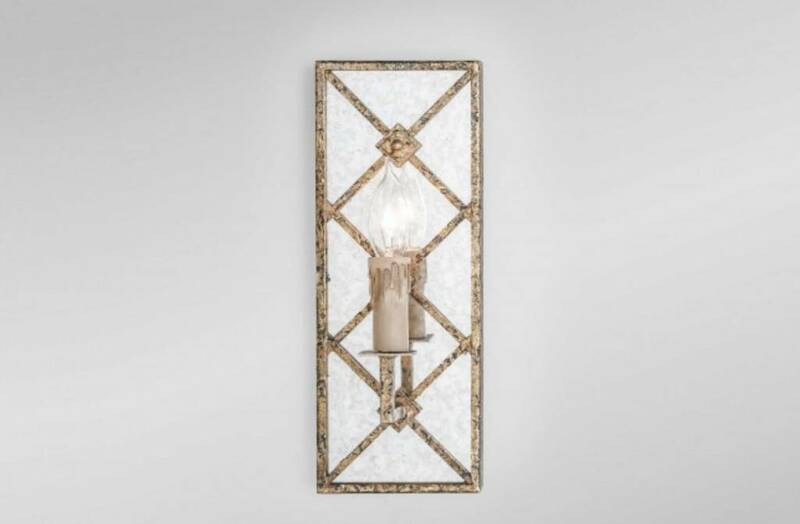 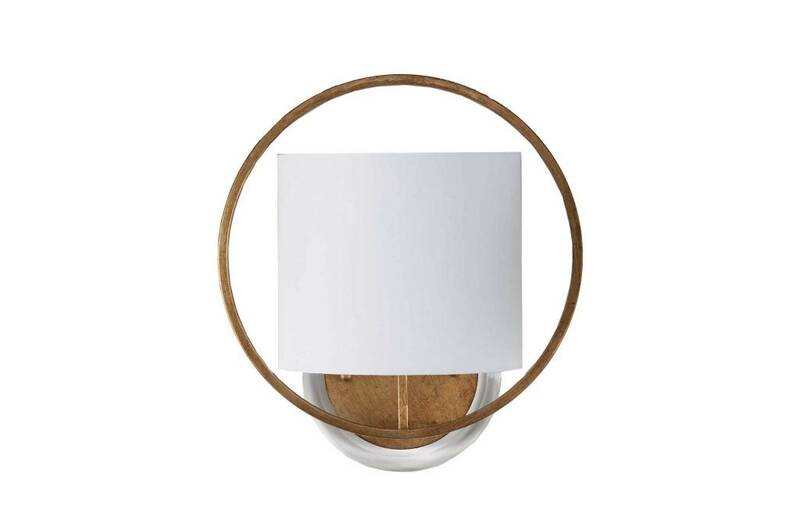 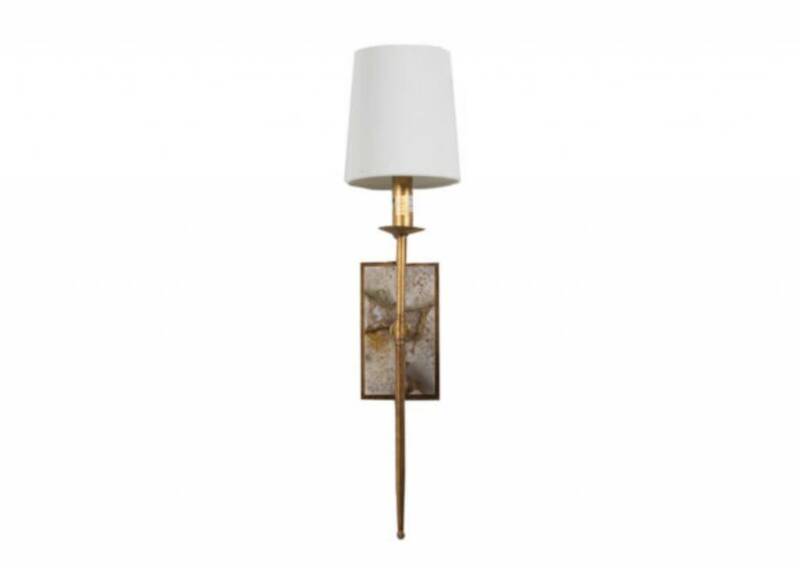 Cast of metal and lucite, the Belfast sconce in gold is marked by graceful curves. 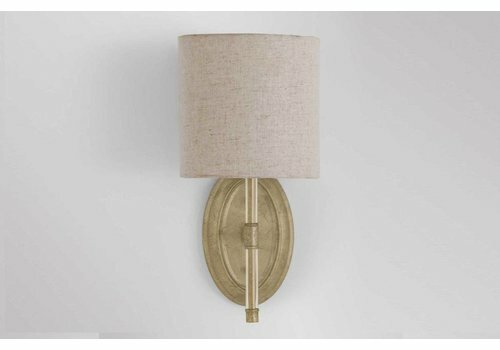 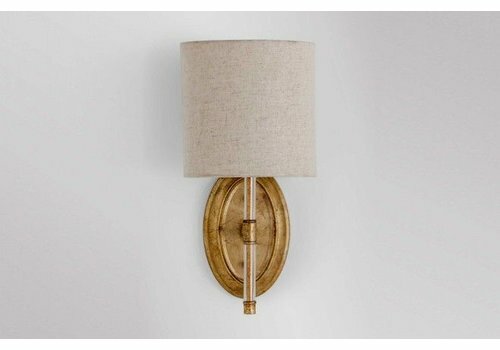 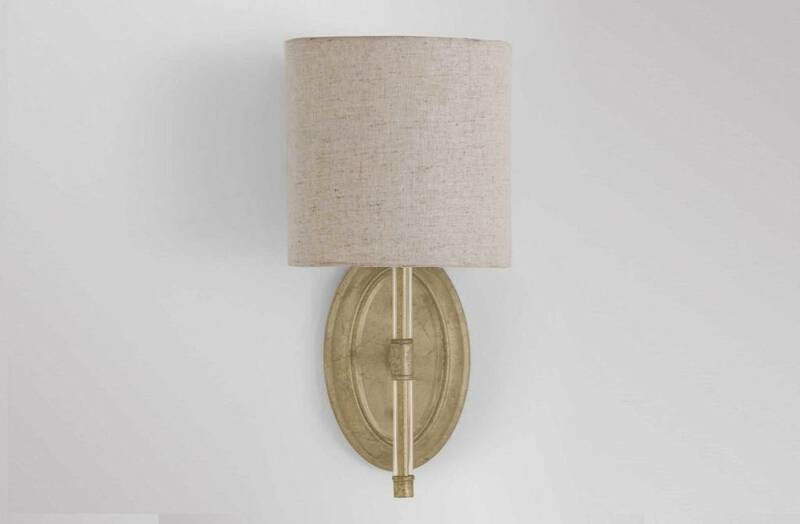 A soft white linen shade makes a nice complement to the antique gold tones of the sconce.